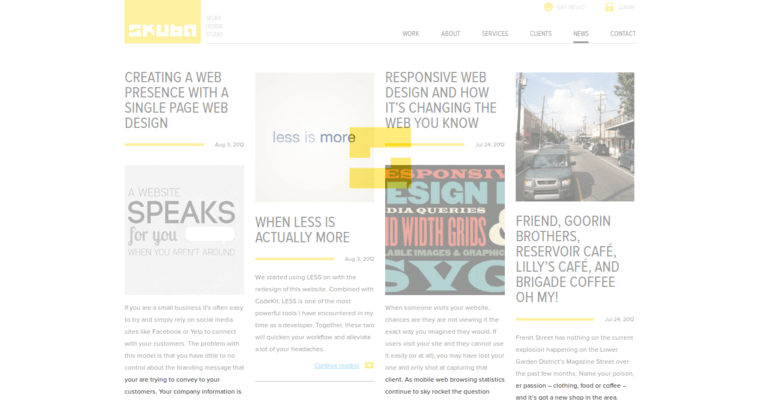 Skuba Design is an agency that offers a variety of website design services. These services are made to complement the client's objectives and goals. This typically involves making a website that targets the main customer base and will increase the number of first-time visitors that become return customers. 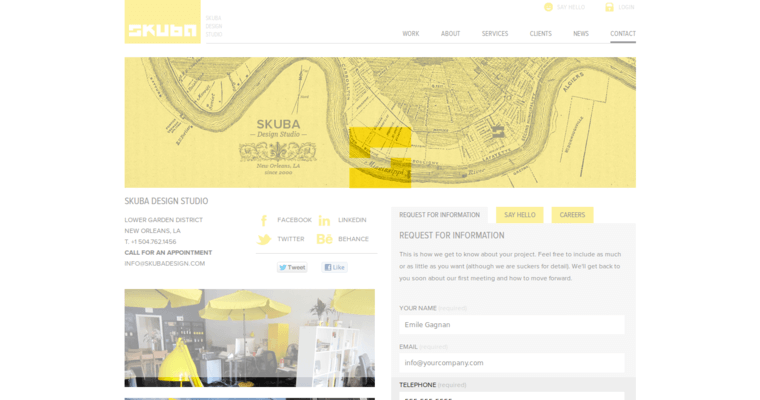 Skuba Design also aims to provide the client with a large return of investment. These services are offered to both small and large businesses and can include any number of pages. 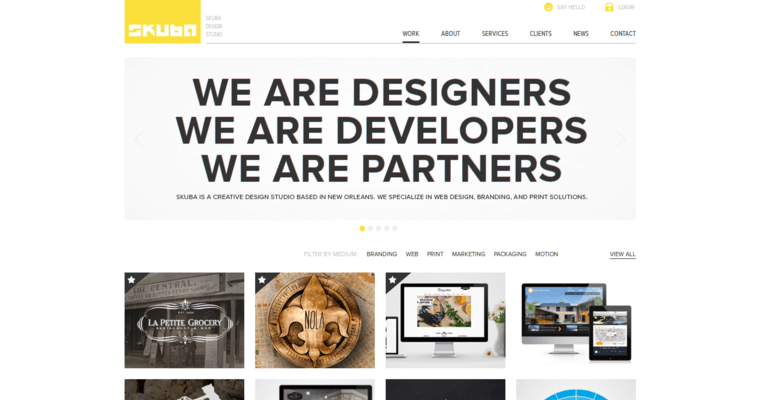 Their design process utilizes a custom-based approach, which basically means that every feature of the website and its design is entirely unique, which helps to ensure that the final design stands out when compared to competitor websites. They also aim to implement a wide range of interactive features that will keep the user engaged long enough to purchase a product or make use of a service that the client provides.